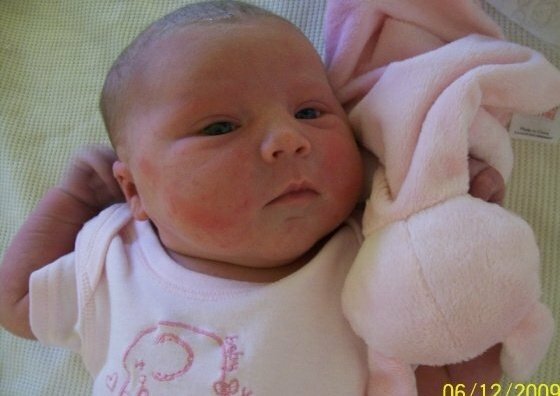 Back in 2009 I fell pregnant with my first child at the age of 16 years. It was hard, worrying and pretty much scary but of course, I dealt with it and got through it! My daughter is now a happy, beautiful and confident 6 year old little girl. It has taken me a good few months to decide whether I wanted to post this on my blog but I thought it may help other parents who also have to deal with co-parenting and maybe a good post for those young mums out there too. 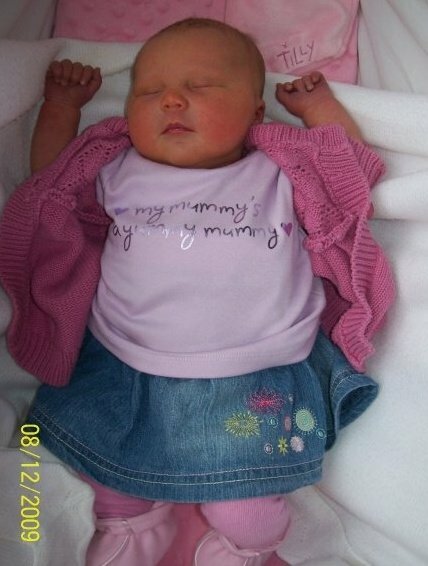 I gave birth my beautiful daughter at the age of 17 in December 2009. That day changed my life forever. But for the best. I knew I was going to be a single Mam from the day I found out I was pregnant, her Dad had moved on and was with somebody else 2 weeks before I found out I was 7 weeks pregnant. At the time, it hurt but when I look back, things happen for a reason and I am much happier where I am right now and wouldn't change my children or my partner for the world. I am happy. 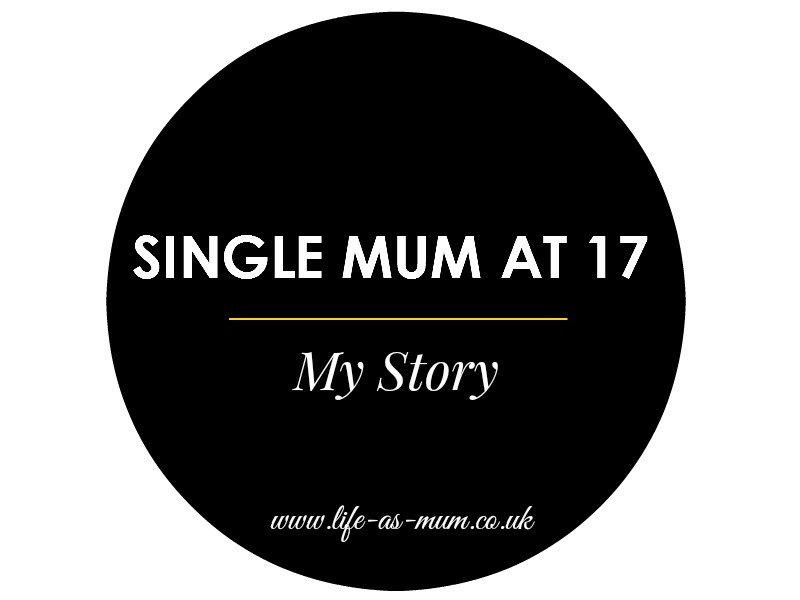 I thought I would follow on from my popular post 16 and pregnant and let you all know how my first year as a single mother was and how I coped being a young single mum. This post is my true story. Mia's Dad came to see Mia for the first time when she was 3 days old. I remember that day clearly. I was in my dressing gown and looked pretty rubbish. I was in pain and feeling like crap too. The door knocked, but I thought it was the postman with a parcel. Mia was sleeping in my arms so I carried her with me to the door. It was her Dad. I was unsure how to feel. Anyway, I invited him in and asked if he wanted to hold Mia. He did. He stared at her and I had to walk out of the room and go into the fron room. In that front room, I burst into tears. I had gone through all that pregnancy by myself (with the help of my Dad). I was scared and now seeing Mia and her Dad together, it made me happy. I thought 'finally! he is stepping up!'. After clearing up the tears, I went back into the living where Mia and her Dad was. He didn't stay long. I think it was around half an hour or less that he stayed. He told me he would come up every Tuesday or Wednesday (can't remember which day it was now). I was pleased. I was raised by my Dad. I saw my Mam occasionally but not very often. I didn't want that for Mia. I wanted her to have a life with both of her parents. I wanted Mia to grow up knowing her Dad loves her just as much as I love her. The following week arrived. I got Mia ready for her Dad to come and see her. Hours passed by. I tried to text and phone. No answer. I tried the following day. I stayed home and did nothing but listen out for the door. Every time I looked at Mia I burst into tears because I felt guilty. I felt like it was my fault he wasn't coming to see our daughter. What did I do wrong? What did Mia do so wrong for her Dad not to want to see her? The following week came, I tried calling and text again. All day. Nothing. In the end I realised he had changed his number or blocked my number. There was no way in contacting him unless I went through his girlfriend. But at that time, I didn't want his girlfriend to be involved with Mia. It was too soon, especially that he wasn't involved himself and everything that had happened during my pregnancy. In the middle of all of the above I had mentioned, I had been going to Careers Wales every single week to look for a job. 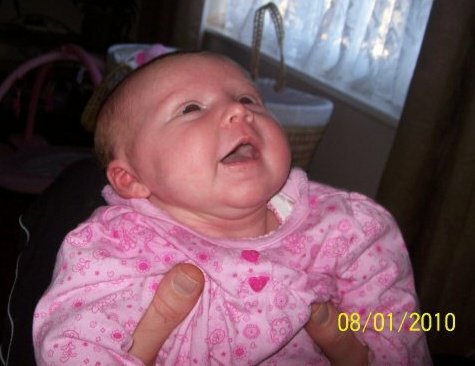 I started going when Mia was about 4 weeks old. I knew I wanted a job. I wanted to work and earn money for me and my daughter. After months of looking, I finally got a job when Mia was 5 months old. It was in a local nursery and I got the job the same day I went for my interview! I was very lucky that Mia could come with me and I was only working 2 days a week which made 16 hours. But I was not receiving income support which is what I wanted to stop. So, I was pretty proud of myself! Mia slept pretty well during her first year. She was co-sleeping with me for a good few months until I decided it was time to move her into her own cot. It took a good while to settle her but she did eventually. I had found out where her Dad's Mother worked and I decided to take a trip there. I went with someone who knows what she looked like and luckily the day I went to the shop, she was there on the till! So I decided to buy something and I got the courage to tell her that in the pram was her granddaughter! She was shocked, of course! It was quite awkward but nothing was done since then (until later). I can't quite remember what happened or when Mia's Dad decided to come and see Mia. It was when she was around 4-6 months old and he would come and see her once a week at my Dad's house for about an hour-or-so. He actually stuck to it this time. I went to see his Mam again in the place she works and I asked if she wanted me to go over to hers to spend some time with Mia, and she said yes! She had no idea that her son/Mia's Dad was seeing Mia each week but it didn't bother me as much because things were finally getting there. After a couple of months of Mia's Dad seeing Mia each week, we decided to let him take her out for one day once a week, then that turned into one night away and eventually turned into Friday - Sunday every two weeks. It was hard to have those first nights away from Mia but I knew it was good for her to know her Dads side of the family just as well as knowing my side of the family. Being a single Mum is hard. Dealing with temper tantrums, wake up calls in the nights (when she did wake up), not knowing what to do when she was crying over nothing and much more. But I had the privilege to see my first daughter taking her first steps, sitting up for the first time, saying her first word, seeing her first tooth and many other amazing milestones. I was the one that was there. I was the one who can tell her when she is older. I am sure this post is going to help any people that are going through the same thing. Really great and inspiring story, I am glad that you shared it! 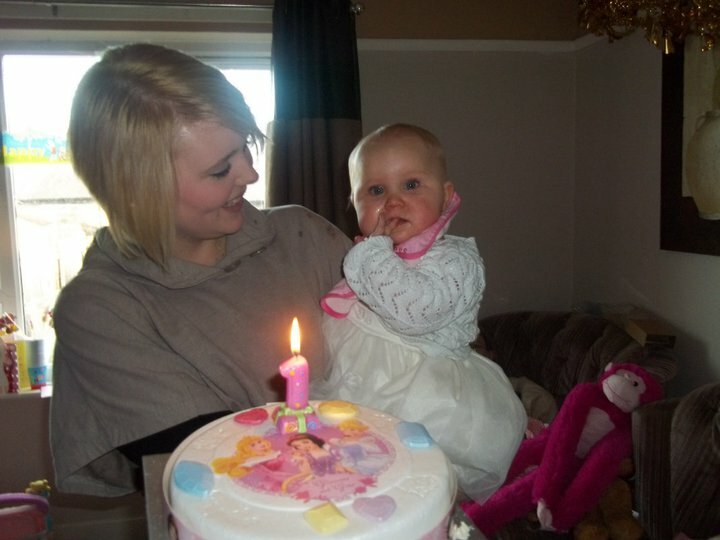 your daughter was such a cute little baby!!! Becoming a parent can be hard, and I am so glad that Mia's dad now see's her often. At such a young age you stepped up and accepted responsibility and that is the markings of a true adult. I am glad that Mia's dad is finally stepping up and being a dad but as you said it was difficult being a single mum. You should be so proud of yourself you have done an incredible job! You should feel proud that you did so much on your own. I can't imagine how hard it was! I was 16 when I had my first. Her dad was there the whole time for me up until she was actually born. Then I guess sleepless nights kicked in and he started abusing me. Well done for writing this. This is such a lovely post. You have done incredibly well and should be proud of yourself. I wouldn't have coped as well as you. Hi Beth, you sound like a wonderful Mum and I thank you for sharing this post. Blogging does give us the power to share stories about our lives, not to make anyone look or feel bad, but in the hope of helping someone in a similar situation. Things could not have been easy for you back then, but you seem to be in a much better place now and it's fantastic that you took those steps to introduce your daughter to her Grandma on her Dads side; many women would not have. You've done good and should be proud. Ahh that's such a lovely emotional post. Well done you, being a single mum at such a young age must be terrifying and hard, but you've done brilliantly in bringing her up as well as getting a job to support yourself so early on. Ah hun, this is a great post. Very brave of you to share and you have done so amazingly well. I don't think you posted to make him look bad. I think you're amazing. Mia is very lucky. You're so brave for sharing this post. I fell pregnant at 19 and the dad and i weren't together, i'm lucky because we're together now and everything has worked out for the best and i couldn't imagine doing that all on my own. Well done, you should be proud of yourself!